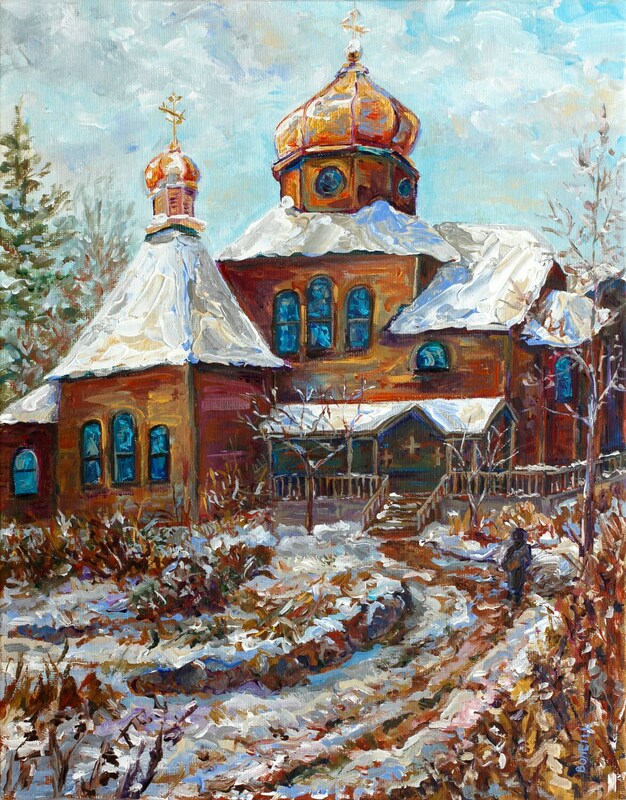 This is a giclee print inspired by the Monks who reside in a beautiful Monastery in the Keweenaw Peninsula of Upper Michigan. Lake Superior is just beyond the back yard! The Monks have worked hard all season gathering and harvesting. Now, with the garden laid to rest, solitude and mediation will be a welcome break as the winter snow fall soft but deep.